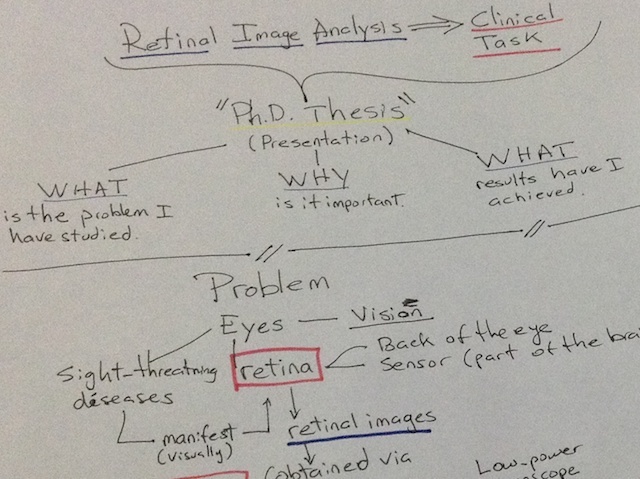 A Ph.D. thesis is one of those things that has a life of its own. Last January, I had the opportunity to write a two-page abstract of my thesis for publication in Electronic Letters on Computer Vision and Image Analysis. It has been published and is now available on the web along with the PhD thesis. The paper is only a glimpse of all the hard work that went into the making of the thesis, but anyone who reads it may get a decent idea of what it is about, and where to find the results I’ve published in different journals. I don’t think anyone wants to go through the process of writing a thesis twice, but most will agree that it is a life changing experience. Many of the best moments of my life so far, happened while working towards the PhD, especially the birth of my two boys.